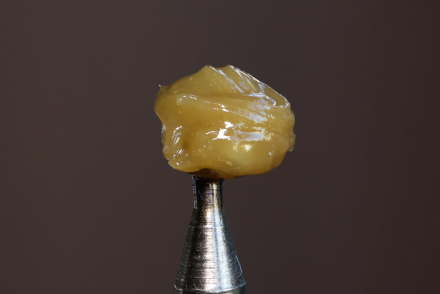 The Lemon Cookies is everything I’ve come to expect from Moxie’s badder concentrates: perfection. When you open the container you’re greeted by a ball of golden glowing nectar and then immediately smacked across the face with strong lemon peel aromas – really similar to Moxie’s Super Lemon Haze badder. The Lemon Cookies gets really interesting as the lemon scents give way to hints of cookie dough and funk from the Girl Scout Cookies. 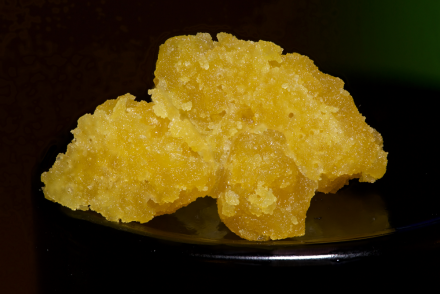 The delicious layers of citrus and sweet doughy funk come through wonderfully on the Lemon Cookies. On each exhale my mouth is coated with lemon tasting terps then, just like the smell, the tail end of the flavor brings forward hints of sweet funk from the Girl Scout Cookies. 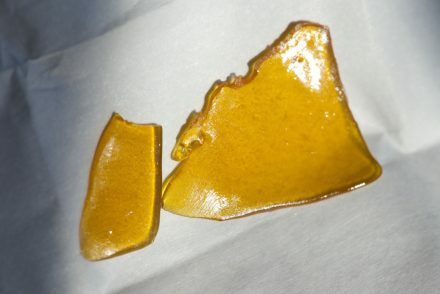 Like I said before, the Lemon Cookies lives up to the high standard I’ve come to expect from Moxie concentrates. From the appearance and smell to the flavor and effects, this badder is absolutely top shelf. I’ll be keeping my eye out for this in the future and will be swooping more up whenever possible – I suggest you do the same.